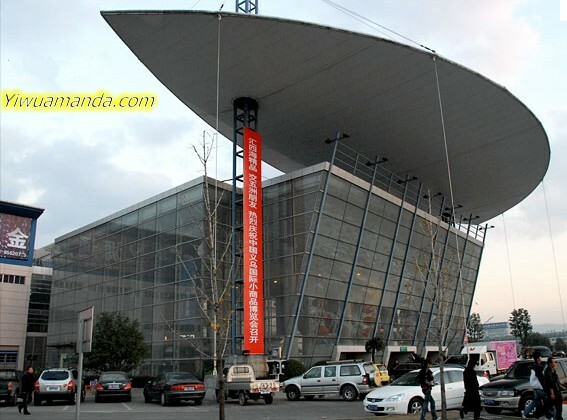 Yiwu Small Commodity Wholesale Market (also known as Yiwu China Commodity City) is located in the middle of Zhejiang Yiwu City. Founded in 1982, it is one of the earliest professional markets in our country. Over 20 years, through four times move and eight times expansion, Yiwu Small Commodities Wholesale Market now has more than 4 million square meters of business area, 62,000 booths with 200,000 employees and over 200,000 passenger flow volume traffic daily，is an commodity circulation, R & D,international exhibition center as well as China’s largest small commodities export base. In 2005，it was identified as “the world’s largest small commodity wholesale market” by the United Nations, the World Bank, Morgan Stanley and other authorities. It also gained the honor of “quality and credibility” market from the State Administration of Quality Supervision. Yiwu Small Commodity Wholesale Market is composed of China Yiwu International Trade City, Huangyuan market and Binwang market clusters. The market has 43 sectors, 1900 categories, 40 kinds of commodities, almost including all household industrial products such as crafts, jewelry, hardware, general merchandise, rain gear, electronic appliances, toys, cosmetics, recreation & sports, hosiery, nonstaple food, watches, lanyard, knitting cotton, textile, tie, clothing etc. Among them, the market sales of jewelry, socks and toys account for 1 / 3 of the national market. Inexpensive, rich categories with distinctive features, these commodities have strong international competitiveness. Goods of Yiwu Small Commodity Wholesale Market are open to more than 212 countries and regions and are marketed to Southeast Asia, the Middle East, Europe and America etc. The annual export volume has reached 60% of the total turnover, of which the export volume of handicrafts, jewelry, hardware, glasses and other advantageous industries account for more than 70% of industrial sales. More than 60% of merchants in the market are engaged in foreign trade supply business. Now Yiwu has more than 8,000 permanent foreign businessmen and over 500 foreign business institutions.,and wish you come to Yiwu Small Commodity Wholesale Market to purchase commodities.